An unlikely mall to house this sort of thing, South Point may have a few clothing stores, but is also home to some of the most well-kept Korean secrets in Gurgaon. Whether you’re in the mood for an authentic Korean BBQ meal (or would like to score some sheet masks) here’s where you should go. The sign outside promised authentic Korean BBQ but they were closed for business when we made a trip to South Point Mall. We’ll be back to sample their Bibimbap soon, though. They have Korean sheet masks! Plus, they stock every kind of K-ingredient imaginable, in case you’re looking to start cooking some Korean food yourself. We spotted some vinegar drinks, in flavours like Grape and Green Apple, rice paper, red bean paste, pork belly and obviously SO much kim-chi. 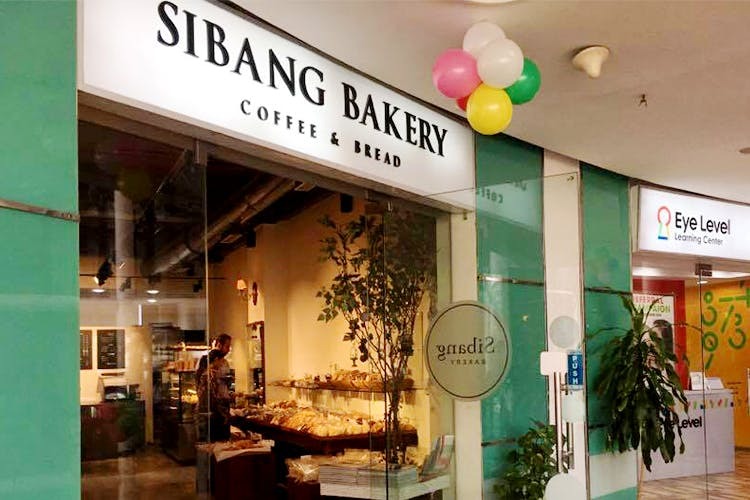 Our obsession with Sibang’s fluffy, jiggly cheesecakes continues and this remains one of our favourite spots at South Point Mall. The brightly-lit Sibang is great for a lunch date, especially if you think dessert is the best thing about any meal. Their fresh loaves of bread are legend as well. Don’t forget to try some of their Coffee Bing-Su—an icy Korean dessert that’s worth the brain freeze. A tiny restaurant located on the second floor of South Point Mall, The Bibimbab (or Myung-Ga—it’s all very confusing and you’ll know what we’re talking about when you see their sign), has a big menu for big fans of Bibimbap. If you’re looking to really explore Korean cuisine, this is definitely the restaurant we’d recommend. While offering traditional BBQ dishes, such as the Galbisal or the Bulgogi, they also have pages and pages of options for the more experimental Korean food enthusiast. Kimchi Dumplings, we’re coming for you!